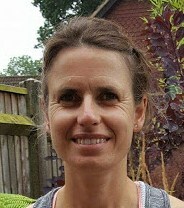 Eileen Munday has over 15 years experience helping people from all walks of life get fitter and healthier. Eileen is passionate about ensuring you become stronger and fitter throughout your life. We all know that everyone is different, with varying goals and needs. Eileen takes time to hear what your own concerns, expectations and goals are and will bring you into the group sessions comfortably and with ease, working you at the pace that is right for you. Unlike the personal trainers who shout at you, and push you to beyond your limits, Eileen is know for being gentle, safe, methodical, supportive and effective. Eileen shares the running of the Fitness and Wellbeing group with Tania ensuring that the Sunday sessions in the park, called ‘Spark’ are offered weekly. Spark meets each week outdoors in Romsey and has more fun than you can imagine. It is truely so much more than an exercise group. This video will show you a little bit of our group workout. It’s taken on a Cold yet Sunny January morning.